le chaudron de vulcain – October 19 , 2018. EN. La Réunion : Piton de la Fournaise , Colombia : Nevado del Ruiz , Chile : Puyehue – Cordon Caulle , Costa Rica : Turrialba . October 19 , 2018. EN. La Réunion : Piton de la Fournaise , Colombia : Nevado del Ruiz , Chile : Puyehue – Cordon Caulle , Costa Rica : Turrialba . Home / blog georges Vitton / October 19 , 2018. EN. La Réunion : Piton de la Fournaise , Colombia : Nevado del Ruiz , Chile : Puyehue – Cordon Caulle , Costa Rica : Turrialba . Activity Bulletin from Thursday, October 18, 2018 at 17:00 (local time). The eruption started on September 15th at 4:25 am local time continues. The intensity of the volcanic tremor (indicator of surface eruptive intensity) is still very slightly decreasing (Figure 1). – No volcano-tectonic earthquake was recorded during the day of 17 October or during the current day. – Inflation (swelling) of the building is always recorded. 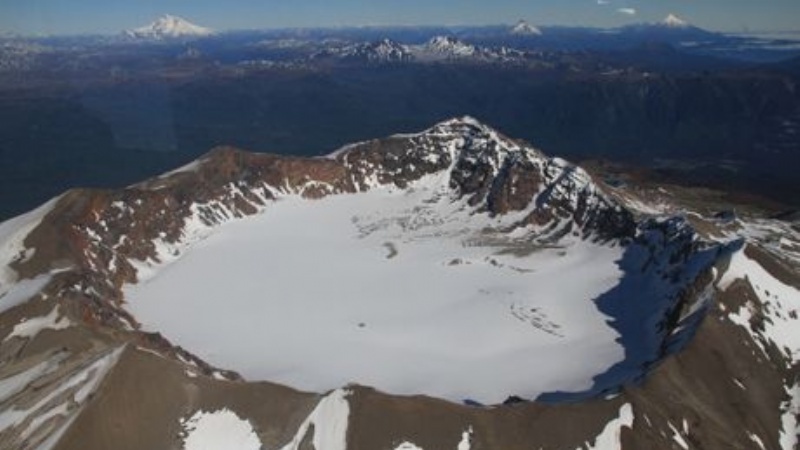 This inflation reflects the pressurization of a localized source beneath the summit craters (Bory-Dolomieu) at a depth of 1-1.5 km, related to the recharge of the superficial reservoir by deeper magma. 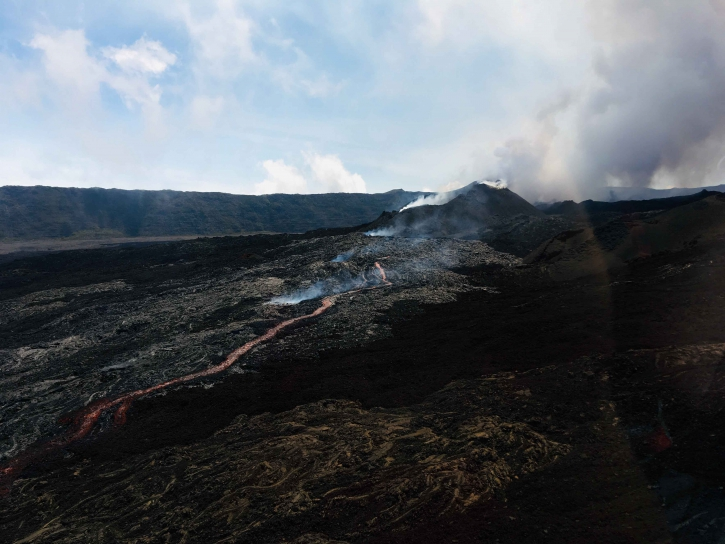 – The surface flow rates could not be estimated today because of lava flows that are too weak at the surface. – Field reconnaissance has been completed today. The observations show a surface activity still very limited. Strong degassing is always observed at the eruptive vent (Figure 2). 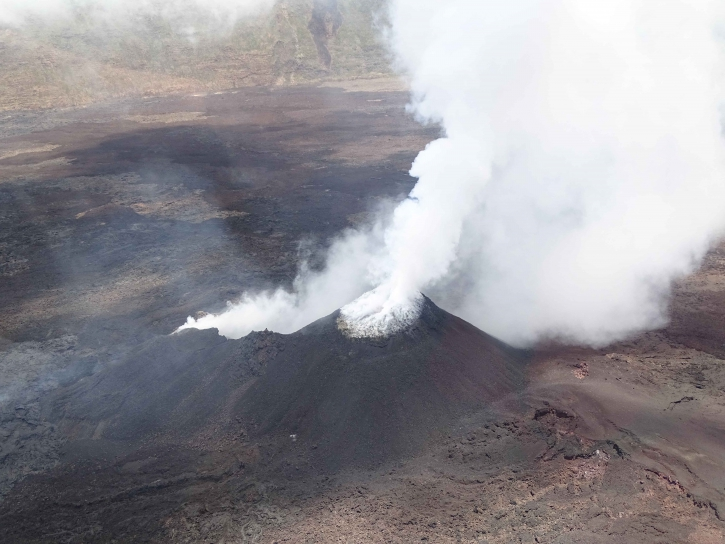 Some resurgences and a small channel of some tens of meters were visible this morning around 11:30 at the foot of the eruptive cone (eastern sector, Figure 3). 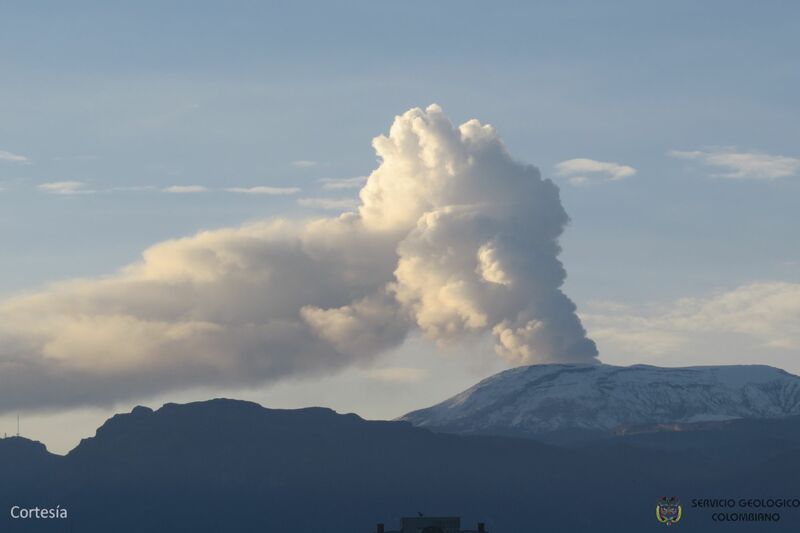 Alert level: Alert 2-2 – Eruption in the Enclos . 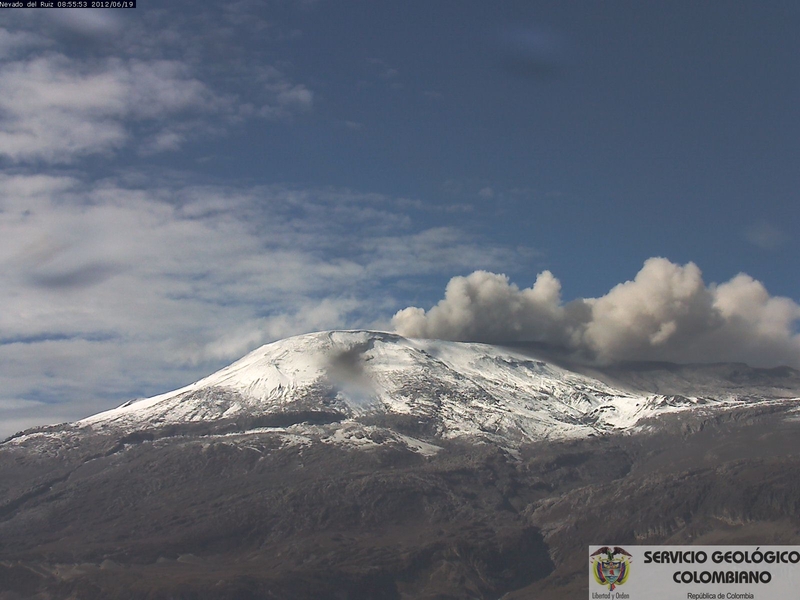 Subject: Activity bulletin of the Nevado del Ruiz volcano. The level of activity continues at the level: Yellow activity level or (III): changes in the behavior of volcanic activity. 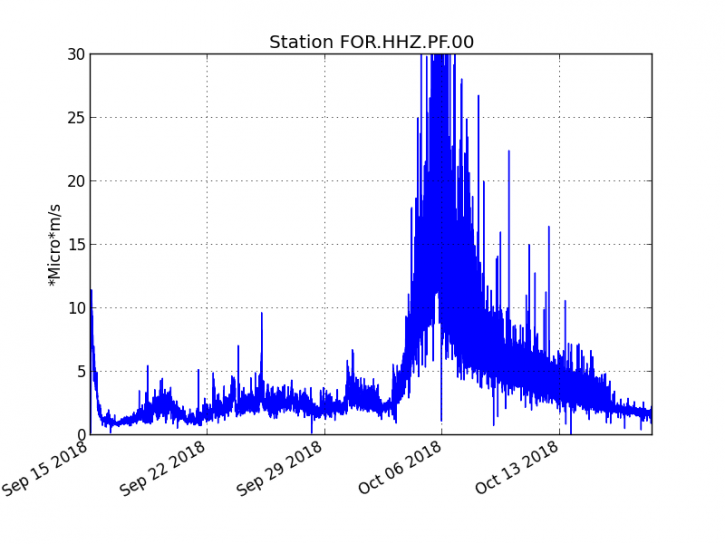 During the past week, the seismicity caused by the fracturing of the rocks that make up the volcano showed similar behavior with respect to the number of earthquakes and a slight increase in seismic energy released compared to the previous week. The earthquakes were mainly located in the Southeast, Northeast and Arenas crater zones, at depths between 0.5 and 5.0 km. The maximum magnitude recorded during the week was 1.3 ML (local magnitude), corresponding to earthquakes recorded on October 12 at 20:04 (local time) and 13 October at 10:43 (local time) in the southeast source at 3.9 km deep and in the crater Arenas to 1.8 km deep, respectively. Seismicity related to fluid dynamics, within the channels of the volcanic structure, showed a similar level of the number of earthquakes and a slight increase in seismic energy released compared to the previous week. This activity was characterized by the presence of earthquakes of variable energy levels, type of long period (LP), very long period (VLP), pulsations of volcanic tremor and episodes of continuous volcanic tremor. The earthquakes were mainly located in the crater Arenas and its surroundings. Volcanic deformations measured from electronic inclinometers, GNSS (Global Navigation Satellite System) stations and radar images have so far shown stability behavior without recording significant deformation processes of the volcanic structure. The volcano continues to emit into the atmosphere water vapor, ash and gases, among which is the sulfur dioxide (SO2). During the week, the NASA FIRMS portal reported several thermal anomalies of very low energy. 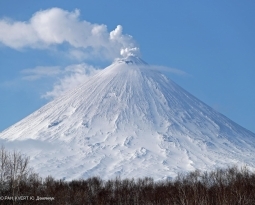 The column of gas, steam and ash reached a maximum height of 1300 m, measured at the top of the volcano on October 10. The direction of column dispersion was governed by the direction of the wind in the area, which dominated during the week to the northeast and southeast, from the Arenas crater. During the period evaluated, a total of 125 seismic events were recorded, of which 2 were classified as long period (LP), in relation to the dynamics of the fluids within the volcanic edifice. The event of greater energy had a reduced displacement value (DRc) equal to 4.8 cm2. Also, 123 volcano-tectonic earthquakes (VT), associated with fracturing processes of rocks, were recorded. The event of greatest energy had a local magnitude (ML) equal to M 1.4, and was located 5.8 km southeast of the emission center of 2011, at a depth of 3.6 km. 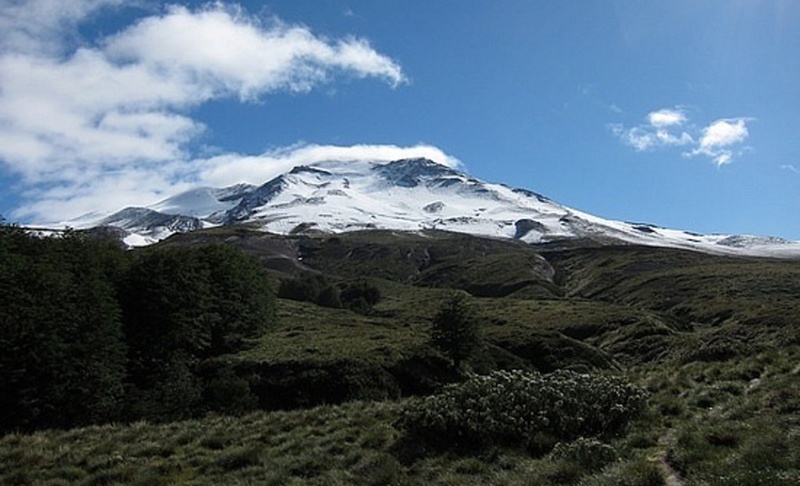 The images provided by the IP cameras installed around the volcano do not show any superficial changes. According to the data provided by three GNSS stations, we observe that the inflationary process reported previously is continuing. The maximum rate of horizontal variation recorded by the permanent network is 0.5 cm / month and the vertical rate of 0.9 cm / month for the station closest to the point of maximum deformation. It should be noted that the direction of the displacement has changed compared to the previous trend, this produced by the possible migration of the source which is at the origin of this deformation. 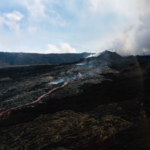 No sulfur dioxide (S02) emissions have been reported in the area’s atmosphere near the volcanic building, according to data published by the Ozone Observatory Sulfur Dioxide Group (http: // mon2.gsfc.nasa.gov/). ) and the National Information and Satellite Data Service on the Environment (NESDIS) (http://satepsanoine.nesdis.noaa.gov). No thermal warning was reported in the area associated with the volcanic complex during the period, according to data processed by the mean infrared observation of volcanic activity (MIROVA) (http://www.mirovaweb.it /) and Temporal Thermal Monitoring of global hot spots (MODVOLC) (http://modis.higp.hawaii.edu/). The low energy of the seismicity as the small occurrence of earthquakes in relation to the activity, despite the deformation observed in relation to the presence of a residual magmatic body, and relatively superficial set up during the eruption of 2011, presents uniform behavior indicating relative stability of the volcanic system. 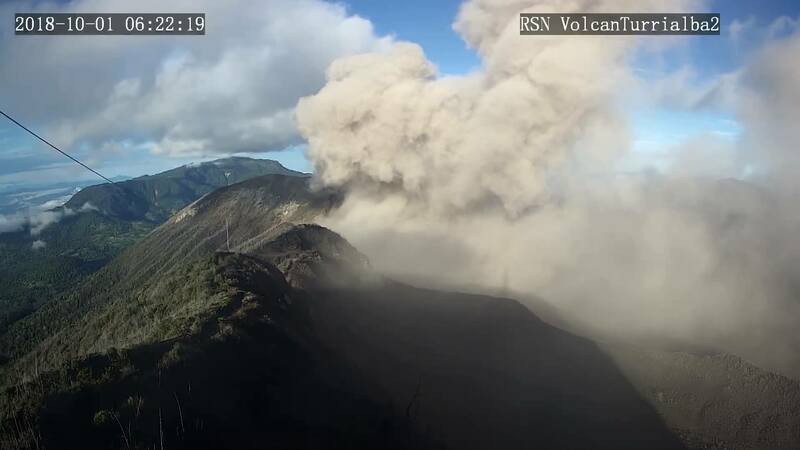 Turrialba Volcano Activity Report, 18 October 2018. 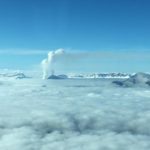 On October 18, 2018 at 09:24 local time, there is an eruption on the volcano Turrialba, the height reached by the column is unknown because of the visibility conditions of the site. Duration of the activity: 1 minute. The winds were blowing towards the Southwest. Ash fall reported in: At this time, no ash drop has been reported. Sulfur odor reported in: At this time, no sulfur odor was reported. 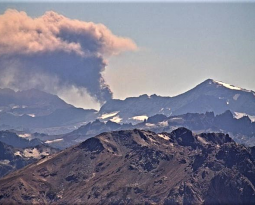 Comments: The cloudy conditions at the top of Turrialba volcano did not allow to appreciate the height of the plume of ash and gas of the eruption. The materials are dispersed by the prevailing wind towards the region south-southwest of the volcano. Since October 10, 2018, the volcano Turrialba is erupting continuously. The column rises to 3,340 meters above sea level. (10955.2 ft). The seismic activity is more important than yesterday. At the time of this report, the winds are blowing east. Passive semi-constant emissions are continued. Visual webcam observations are low due to ash and weather conditions. 19 Octobre 2018. FR . La Réunion : Piton de la Fournaise , Colombie : Nevado del Ruiz , Chili : Puyehue – Cordon Caulle , Costa Rica : Turrialba . 20 Octobre 2018. FR . Alaska : Veniaminof , La Réunion : Piton de la Fournaise , Chili : Osorno , Indonésie : Anak Krakatau .